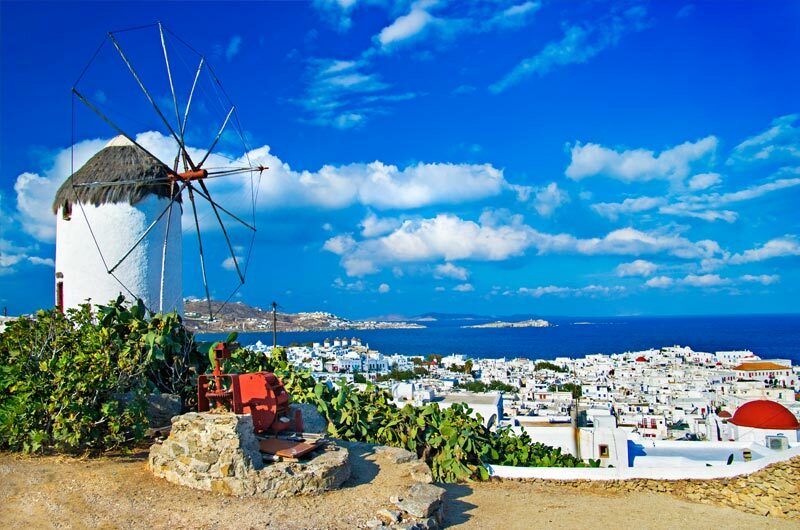 Greece | Greece Vacation Packages | Travel Greek Islands | Mykonos Travel | Santorini Vacations | Gate 1 Travel - More of the World For Less! 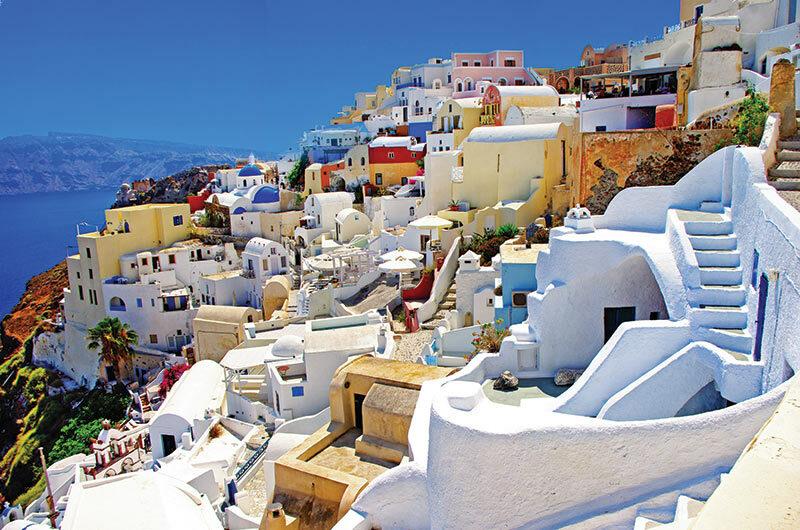 8 Day Essential Greece Book By Jun 13, 2019 & Save! 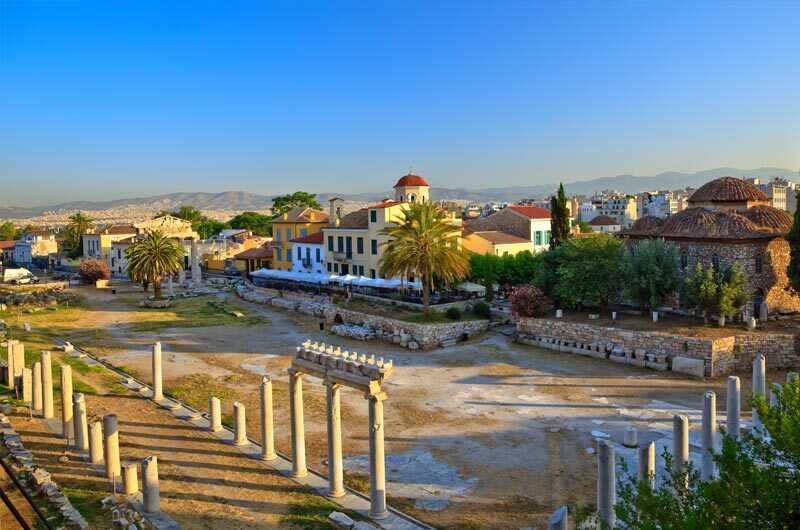 10 Day Essential Greece with 3 Day Iconic Aegean Cruise Book By Jun 13, 2019 & Save! 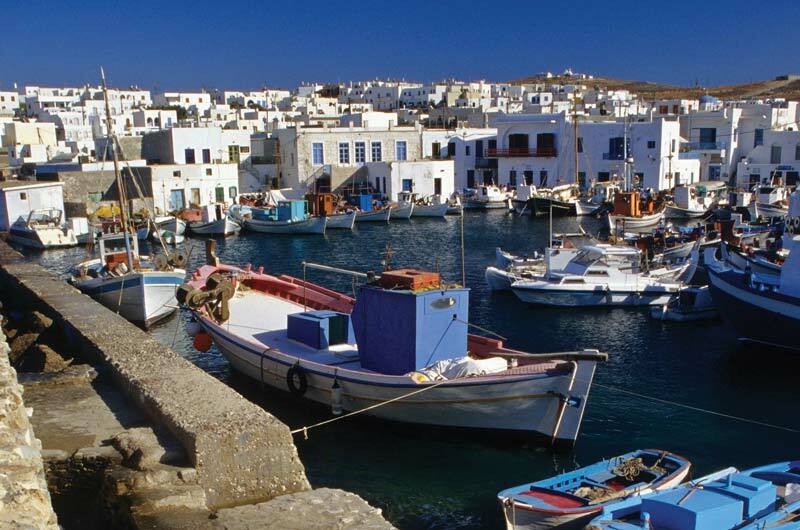 11 Day Essential Greece with 4 Day Iconic Aegean Cruise Book By Jun 13, 2019 & Save! Our trip to Greece was incredible! As always, traveling with Gate 1, was fun, informative and full of new experiences. We can't wait to book our next trip with you. Wonderful! Our tour guide, Maria, who was filling in for another person, did an excellent job. She was always warm and cheerful, available for questions and very knowledgeable. A superb guide! Thank you for another great trip! The trip was just absolutely remarkable. You guys cannot be paying Militsa enough. She is a great ambassador for your company and for the country that she loves. Because of her commentary the whole experience was richer. She provided great information on each site that we visited but perhaps more importantly for me she offered information on Greek life and the Greek people that was not available in the guide books. My wife and I were as interested in the lives of the people who live in Greece as we were about the sites. Militsa happily answered our, no doubt tedious, questions. She even provided Greek treats for the tour participants. Basically she treated us like family and it made the trip that much more enjoyable. Our trip was great. We had seen everything on my bucket list and a lot more. Our guide Anna was very helpful and informative. I and a lot of others in my group had said Gate 1 is highly recommended for good trips at a great value. My trip was wonderful. I learned so much about Greece and our tour guide, Yianni, went above and beyond to ensure that everyone had a great trip! Gate 1 is the best! My trip was everything I had ever imagined and then some - absolutely the experience of a lifetime! 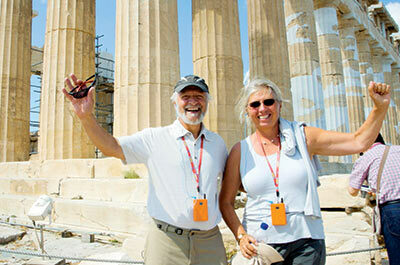 Our guide in Athens, Chris, was OUTSTANDING and our whole trip was effortless and stress free. We will definitely be booking more trips with Gate 1 and have already recommended Gate 1 Travel to all of our friends! FABULOUS!! Sophia was absolutely wonderful & a wealth of knowledge. 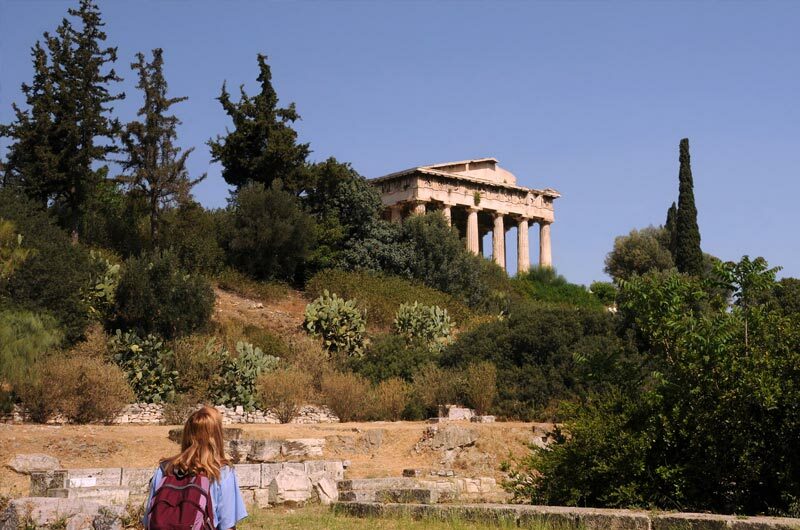 We all were amazed at her abilities regarding all the history at each location we stopped at, including the Acropolis Archaeology Museum. You are very fortunate to have her as your guide. Also, Christos is an excellent driver. He is very skilled at getting into surprisingly small spaces with our huge bus. We all appreciated his assistance with our travel around Greece. Great trip.....many highlights!!! This was my first trip with Gate 1 and it certainly will not be my last. I'm already looking to book my next trip. The trip to Greece exceeded our expectations. I traveled with a good friend and we were both impressed by everything. It began with a gentleman picking us up from the airport in a timely manner, shaking our hands and welcoming us to Greece. The whole trip from hotels, sites, coach bus, food and tour guide, Vivian was excellent. Vivian was knowledgeable, kept us on schedule and all with a sense of humor. We had a marvelous trip. The Gate 1 employees were just fantastic about meeting our planes, taking us to our departure spots and just seeing to all of our needs. We loved Athens, Mykonos, and Santorini. The Greeks were so polite and friendly and very helpful, plus almost everyone we encountered spoke English. The sites and scenery on this trip were just magnificent! Trip was great, greatly organized, very nice hotels, great food and our driver Plato was outstanding and who really made this trip superior, was our tour guide Chris. He is so knowledgeable a good storyteller. Altogether wonderful experience. Zdena V. Fair Lawn, NJ. Our trip to Greece was wonderful. Our accommodations, tour director, and destinations exceeded our expectations. This was our second trip with Gate 1, and it won't be our last! From the moment we touched down in Athens to the moment we left, Gate 1 service and friendly staff made us feel welcomed. Our trip was amazing! It was our first time using Gate 1 and was a little apprehensive! But you guys were absolute professionals! We have no complaints! And we will definitely be thinking about traveling with Gate 1 on our next trip! Thank you for making our memories of Greece even more sweet! We’re extremely happy and satisfied with the Greece trip. 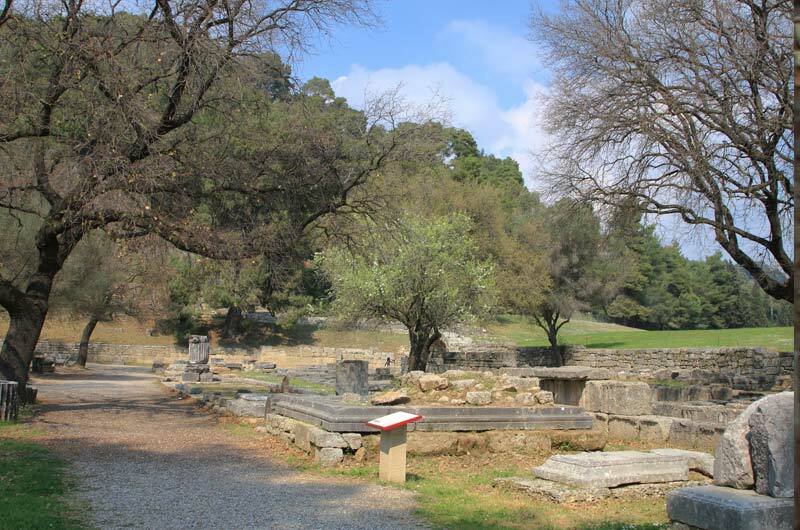 All the tour guides were knowledgeable about the history of places and archaeological sites. They are friendly and provide comfort and services efficiently. The bus drives are very experienced and great drivers. In addition, Greek dance and food are exceptional. Thank you Gate 1 and we’ll spread great news to my families and friends. My Greece trip with Gate 1 was totally awesome! The guides and reps were so professional, knowledgeable, and fun that this experience way exceeded my expectations. This was my third Gate 1 trip and I'm already considering the next one. 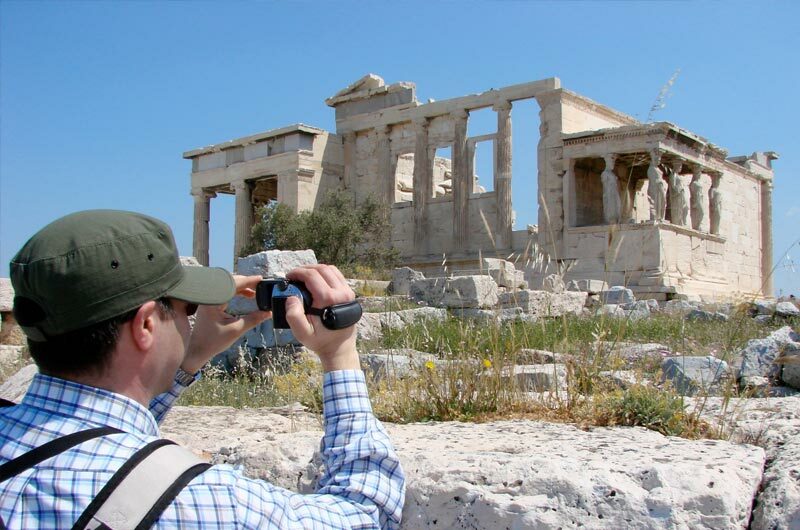 The 12 Day Classic Greece with 4 Day Iconic Aegean Cruise was a great trip visiting historic sites with knowledgeable Gate1 tour guides.. The members of our tour were fun and they really loved visiting the Touris Club Cooking class. We had so much fun learning to make Greek recipes, eating the dishes, and learning Greek dances. It was exhilarating to do the dances and throw plates on the floor! OOMPAH! Thank you for asking! The trip was first class! We were met at the airport by wonderful Stella who made our settling in the hotel smooth and easy. Same evening we met our tour guide, Demetra, whose warm welcome and introduction set the tone for the trip. Demetra deserves the highest marks for her work. She is highly skilled professional, very personable and outgoing. She is so well organized, that our experience felt seamless and effortless. We have visited amazing places, learned a lot about Greek history, culture, and traditions. We stayed in the big city and visited small places, got introduction to the islands. The tour was very well balanced and left us wishing it was longer. We will wholeheartedly recommend this tour to our friends and acquaintances. The trip was fantastic!! 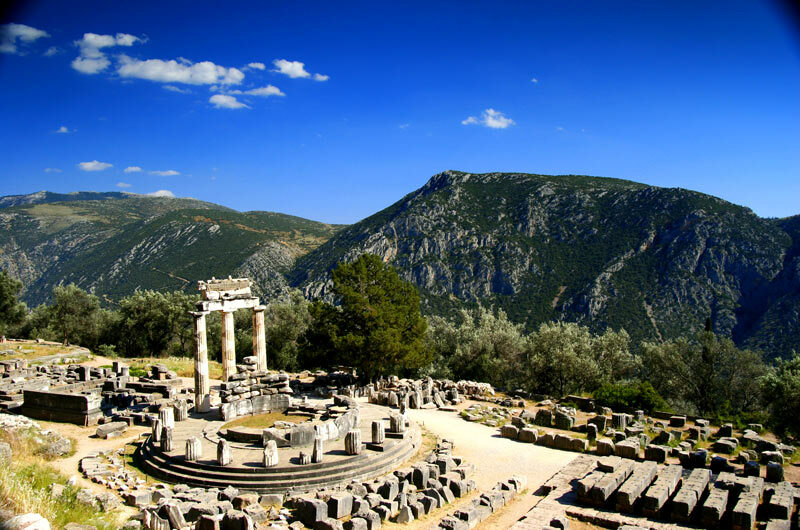 We were very pleased with the choice of hotels in Athens, Olympia and Delphi, and the meals we were served were fantastic. Our three-day bus tour was nothing less than outstanding--beginning with a touring bus that was top-tier, and topped off with a guide who was deeply knowledgeable and extremely gracious. Ana's intelligent and vividly descriptive dialogue pertaining to the history of the sites we visited was informative and entertaining. Seriously, she was a walking encyclopedia. 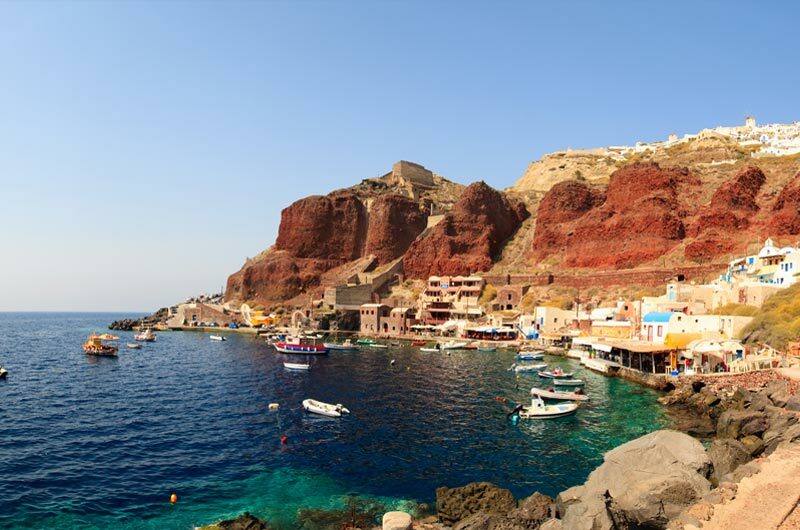 As usual, Gate 1 Travel went the extra mile with this package and we consider ourselves very fortunate to have had the pleasure of experiencing Greece in this manner. Thanks for a great trip! Another outstanding trip with Gate 1 Travel. Itinerary and Program Director were excellent. Had a wonderful time. Hotels were lovely, food was delicious, and our tour guide, Melitsia was absolutely superb. She was organized, thoughtful, informative, and fun! The trip was a complete success, beyond fantastic. 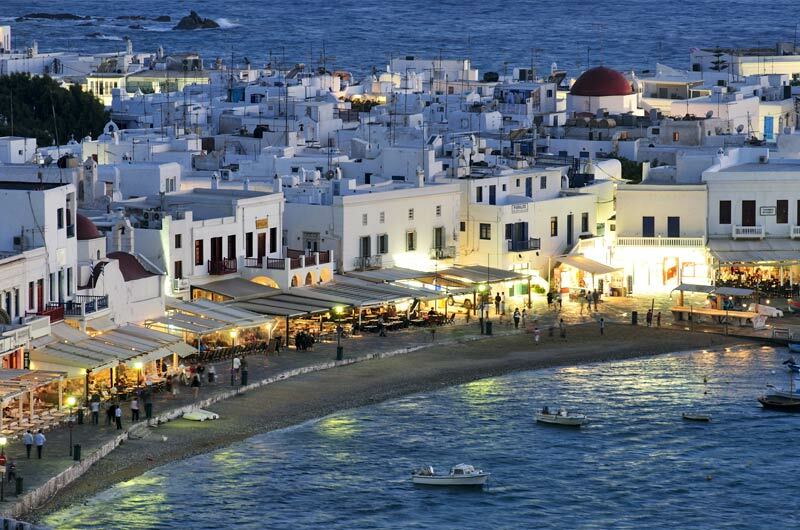 In my opinion, this is the time of the year to visit Greece. The weather is ok, the crowds are low. I loved the trip and the guide was the best ever. I can't begin to describe the amazing time my family and I had...The experience was wonderful. From the airline, to the hotels and tours. Fantastic. We couldn't have asked for a better tour guide in Elena Gaitani. She is so engaging and made you feel like you were a part of history. We loved her. The value was beyond anything. Thank you so much to Gate 1 for giving families like mine the opportunity to travel the world together at such an unbeatable price...thank you for the unforgettable memories. Our trip to Greece was just amazing from beginning to end!!!! We all really loved it!! Our guide Elena was beyond amazing!!! Her knowledge and love for her country was so wonderful!! My daughter who is 15 came with and just found everything to be just great! She didn’t want to leave!! Now we are planning our next Gate 1 trip!!! Thank you again to all who made our trip outstanding!! OPA!! So much fun! What a fantastic country to visit. The tour guide, Vivian, was so knowledgeable. It was like having a class in Greek mythology and archaeology taught by a PHD. She was also super at keeping the tour moving on schedule and coordinating all the facets of the trip. I highly recommend this tour, Vivian, and Gate 1. The total experience was excellent/outstanding, the Gate1 Travel personnel made the experience excellent/outstanding. I can not speak highly enough about the Gate 1 personnel, they are the best. First time with Gate 1 and we are glad we did. Tour manager, Maria, is very knowledgeable and did an excellent job of providing historic and cultural information relevant to the tour. The itinerary is well paced and we learned a lot about Greece by the end of the week. The trip to Greece was great. A lot of history and historic sights. Our tour guide Militsia was very good. Great! All went well. Our tour guide was wonderful, the scenery was beautiful, the weather was ideal and the food was fantastic! It was fantastic!!! Our guide Eleni was the best guide I have ever had! The hotels and food were good, the tours were great. It was wonderful value for the money! I love Greece and the tour gave us a good introduction to that beautiful country. Thanks, we are already planning our next trip! Fantastic! 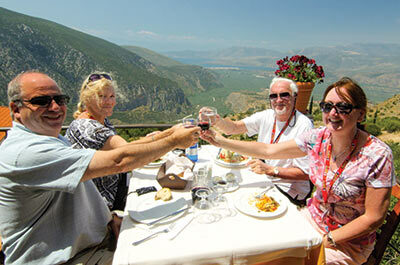 We were truly impressed with the quality and experiences, but mostly, our guide, Eugene Alexiou, made our trip special. She is the most knowledgeable guide we have worked with plus a very sweet and kind person. Hold on to her! Our trip to Greece was wonderful. Our Gate 1 guide, Elena, was probably the best we've ever had. The scenery was spectacular, the food was delicious and Gate 1 took care of everything for us. It made the whole week more relaxing since Elena took care of all the details. This was our first trip with Gate 1 but it certainly won't be our last. Awesome trip. Loved every minute. Our guide, Evgenia, is a treasure. Wonderful personality, and smart (academic background - archeology major) with a sense of how much to tell us, and when. We were well prepared as we traveled about and her guidance made us appreciate the history of Greece's colorful past through ruins, battles, and personalities to the fullest. She is passionate about her country and it shines through every thing and every place we saw. I hope you compensate her well!! It was a great trip. Combining the land tour with the cruise was a great idea; see it all while we were there. Both of the guides were really good; Panos was so fun and Maria was almost as good as Nam (our first guide with Gate 1, in Turkey. He set the bar really high as he was so phenomenal). 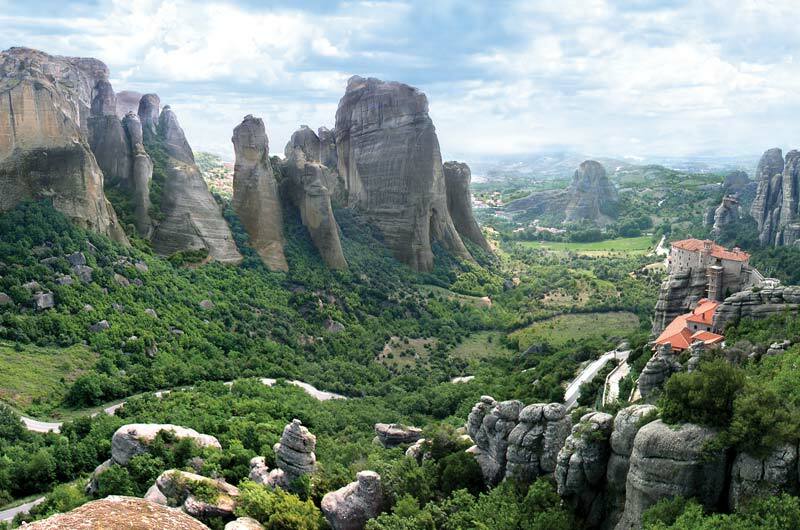 Greece is wonderful, the islands beautiful, the country magical in it's mythology and ancient ruins. We look forward to our next trip in December to India/Nepal. Thanks again for all you've done for us. It was nice! The trip was better than I thought it would be. It provided a good overview of Greece and Greek history. I like that Gate 1 is efficient for the traveler. No waiting in lines and getting to the interesting sites early in the morning so that it is uncrowded and before it gets too hot. We were able to probably do 50% more in the same amount of time over trying to coordinate everything on our own. I was pleased with the ship as well, "Olympia". The food was on par with other cruise ships of that category/hotels and the bar service through out the ship was the very best that I have experienced and this was my 60th cruise. Also liked all the specialty coffee choices and bottled water being included as well as drinks and soda. The hotels were all very nice and in good locations. All the Gate 1 representatives and guides did a real good job. I would rate this Greece trip and the trip that we took to Croatia with Gate 1 as top rated for our vacation experiences. Looking forward now to that Morocco trip. 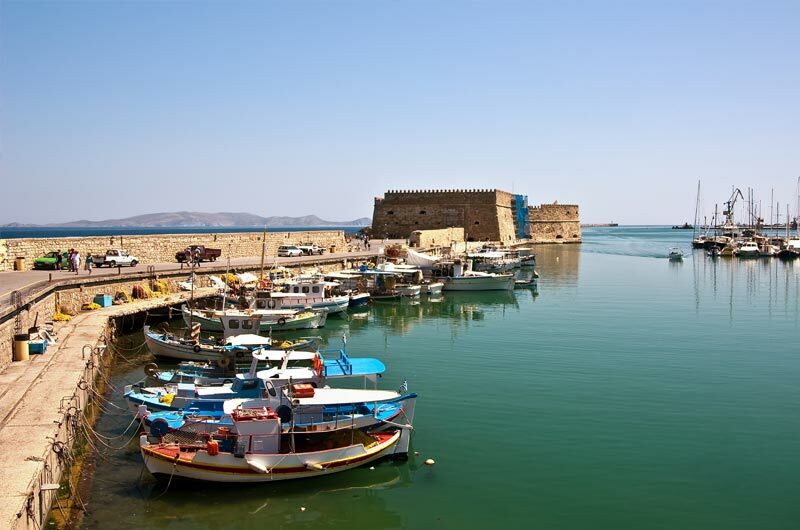 I would recommend to other travelers to take the additional excursions offered by Gate 1 and what they offered at the ship with Gate 1 representative. It leaves you feeling that you saw and did all that you could possibly do in a very short time frame, especially if the budget only allows for one trip to those locations in a lifetime. I would encourage other travelers to take the trips while they are still young because the amount of energy needed could be demanding. A lot of stairs, hills, uneven surfaces and hot weather. It was absolutely amazing and magical! We loved Greece! This was our first time traveling with gate 1 and so happy we choose your company!! Our tour guide for the 4 day classical -- Eugenia was wonderful! We look forward to traveling again in the near future! Our trip was awesome! Greece is a beautiful country with so much history. We are so happy to have traveled with Gate 1- each time we dealt with a Gate 1 rep, we were impressed. Each tour guide was knowledgeable, each pick up or transfer was timely and friendly- we couldn’t be happier. Thanks for your help planning this trip!